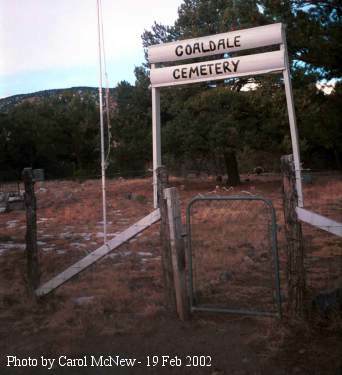 The photo above shows the newly painted walk gate into the cemetery at Coaldale, Colorado. 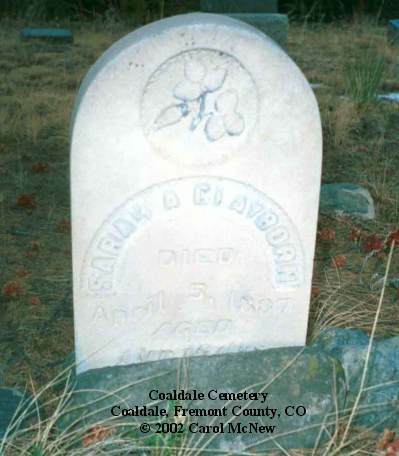 The cemetery is only 10 feet off the road from Hayden Creek Road, County Road 6 in western Fremont County. 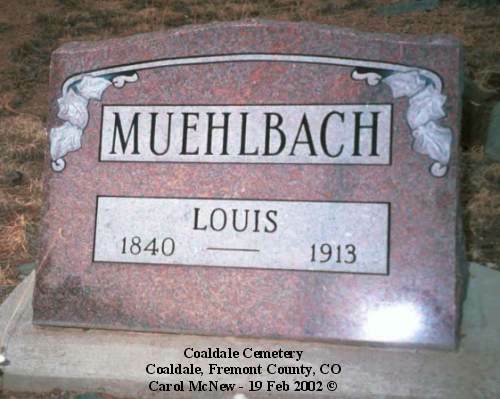 Charles Ashlock and his wife, "Monie," were accomplished musicians. They played for many dances throughout the area for many years--he on his organ, and she on the base viol. They lived in Coaldale for the latter half of their lives. 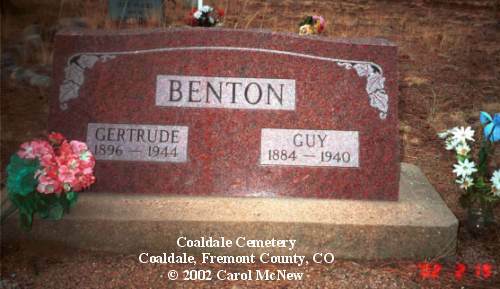 The Bentons were pioneers in the Pleasant Valley of Western Fremont County. They still have descendents who live in the valley. 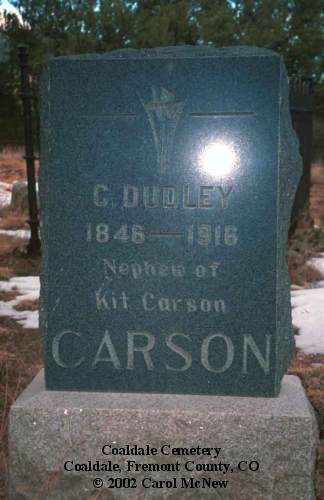 Kit Carson's nephew, Dudley, worked at the Gypsum quarry for Mr. Gilray, and was killed by a falling rock. The stone was erected by the quarry management. 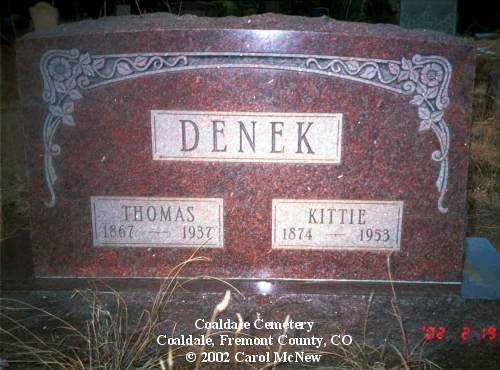 Thomas and Kittie Denek were early pioneers of western Fremont County; they developed a beautiful ranch in the Pleasant Valley. Son of Charles A. 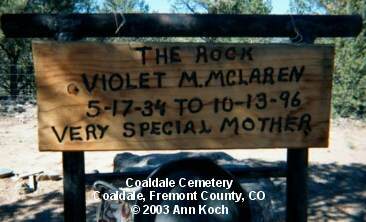 & Ruth Ada (Poet) Koch, married 12 Dec 1949, Violet M. Crawford (see McLaren below). 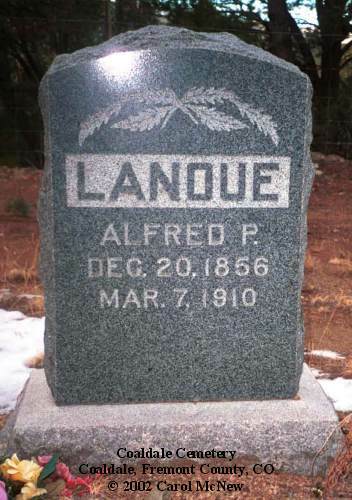 The Lanoue family homesteaded the property from which the cemetery was carved in late 1800s. The beautiful iron enclosure is marked with the name MADSON. 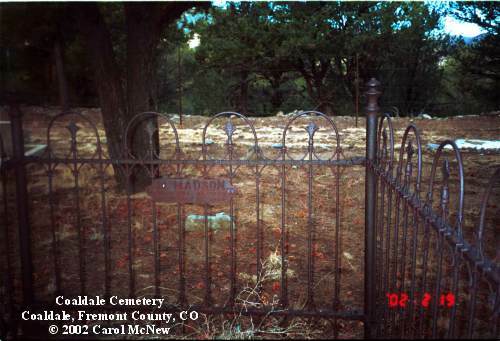 There are several iron enclosures at the Coaldale Cemetery. 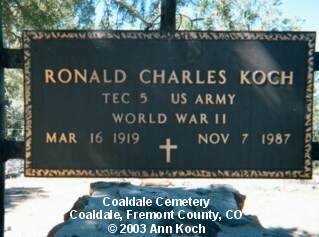 Daughter of Lorin & Nora (Madison) Crawford, married (1) 12 Dec 1949, Ronald Charles Koch (see above) and (2) Hubert McLaren. An early pioneer in the Coaldale area. 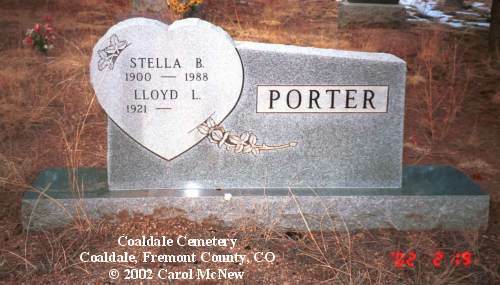 Stella was the daughter and heir of early Fremont County Pioneers, Thomas & Kittie Denek. 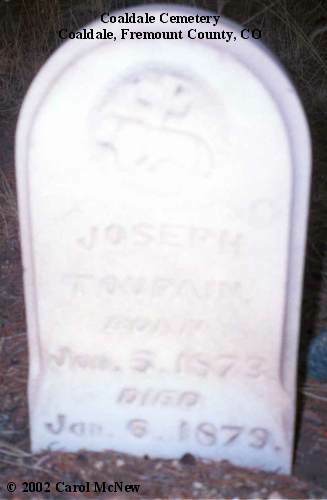 Joseph's was one of the earliest burial at the cemetery.